How to unlock ("Jailbreak") an iPhone 3G & 3GS to enable it to be used on any mobile network using redsn0w via a Windows Machine. Ok, so you've jail broken your 3G iPhone. Obviously you need a network provider that will give you the most for your money whilst using your iPhone. I can only really impart what worked for me whilst I tried to unock it. There are different versions of the software out there but the version detailed below are what worked for me. iPhone1,2_4.2.1_8C148_Restore.ipsw this was the firmware image I used. There are a number of 4.X.X. ipsw variants leading up to it and there were a couple after it too but the ones after this version were more geared towards the iphone 4 and 3GS. There's also talk of needing ultrasn0w 1.2. But you can completely forget about this until the iphone is functional enough for you to actually browse its menus and sync with iTunes again. The download and installation of ultrasn0w 1.2. is entirely done via the actual iphone itself over a Wi-Fi connection using a application called Cydia. Do a search for the above software. I can't seem to find the download links anymore. That is the links I used to get them in the first place. If you're having trouble finding them you'll find a link at the end (maybe when I finally get some sort of setup for taking automated orders) to buy a CD for £2.99 with the exact software I used to do the unlock. Only use this option as a last resort. I'm sure if you search thoroughly enough you'll find the appropriate software to do this. Make sure you have a working wireless LAN connection to use if you intend to perform this update otherwise you won't be able to complete the full installation in order to actually make and receive phone calls on it or use the 3G data connection for internet related tasks. More about this later. Once you downloaded Redsn0w 0.9.6b5 and the corresponding ipsw unzip them both to the same folder for ease of finding them again. The version of redsn0w above isn't compatible with the 4.0.BA versions of the ipsw from what I can gather, you'll need an older version of redsn0w for the earlier 4.0.BA versions of ipsw to work. Next run redsn0w and follow the instructions exactly as it tells you. Exactly as it tells you. Don't worry if you don't get the timings for the button press combinations right the first time. It gives you the chance to do it as many times as you like till it works. It will tell you to select the iPad baseband for installation to then give you a stark warning as if it was optional not to install it but not optional if you wanted do this and actually make it work in going ahead with it. I can't tell you if it will or won't work without out installing the iPad baseband to your 3G or 3GS iphone. I can only tell you that I have a functioning 2nd gen 3G iphone running the iphone 4's software using the iPad's baseband. They stress the fact that it will be starkly obvious to Apple that your iphone is using the iPad's baseband and there's no hiding it from them. They also point out that there is no way to down grade any 3G or 3GS iphone from the iPad baseband once its installed. A further note, the iphone 4 isn't compatible with the iPad baseband since its got its own variant unique vibe rocking out of the same kitchen and pan. It doesn't require it. Crisp German beer. Mmhmm. When the above options appear, make sure you tick the box "Install Cydia". Ticking this option will install the Cydia application to your iPhone which is essential to getting your iphone fully functional later. I would also recemmoned ticking "Enable homescreen wallpaper". Ticking this option allows you to set a picture for the lock screen and a different picture for the homescreen. Optionally you can set them to also have the same picture if you want to do that too. If you have an iPhone 3GS I would recommend you try the "Enable multitask" option. 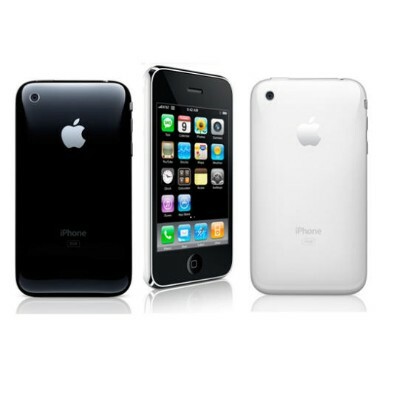 The 3GS has the same higher processing power as the iPhone 4. From what I've read the iPhone 4 has multitasking enabled by default. I was installing this to an iPhone 3G which has a slower processor then the 3GS and 4. They also underclock the iPhone 3G processor too. I wouldn't recommend enabling multi-tasking on the iPhone 3G if you want crash free reliable operation. The first time round I opted not to use multi-tasking . But later it became a bit of a pain as it meant I wasn't able to do other tasks on the 3G iPhone like browse the net whilst using Skype. It will crash your 3G iphone if the applications you run in mutli-tasking mode are too much of a load. When I say crash it doesn't crash as such, it causes it to go into safe mode. In safe mode alot of the 3G iPhones features are deactived but it still runs. It will then give you the option to reboot the phone to go back into normal operating mode. To activate the multi-task view quickly double click the home button and you should see the screen open up at the bottom with all the icons of the applications that are currently running. After which you can then shut down applications by holding down the icon on the screen. Once the icons start to wobble just press the red X button on the corner of all the icons corresponding to the applications that you want to shut down. Once you're done just press the home button again. This latest custom firmware is an untethered install. Meaning that the procedure can be completed entirely on the iphone itself without having to be physically connected to the computer once the firmware has been loaded to the iphone and it says that its finished in redsn0w. You can then disconnect the iphone from the computer for the firmware update to finish installing itself ready for use on the iphone once completed. Once the iphone has rebooted itself you should now be able to get back into its menu system and navigate its options and features again. You should also now be able to sync it with iTunes like any other regular Apple device. At this point you will also notice that you're either getting very weak network signal pickup or no network signal at all. To fix this you need to use Cydia which should already be installed on your iPhone. This next part is for all those who were getting very weak and unusable operator signal strength to no signal at all. There was still one step that you haven't completed. It seems the final step for completion of the process was to get Cydia to actually download and install the ultrasn0w 1.2 package from the iphone in order to get the Network carrier signal strength to display correctly and allow for actual use of your chosen mobile carriers mobile voice calling and 3G data services. However with my wireless LAN not seeming to function correctly there was actually no way for me of getting the 3G iphone I was testing to connect to the internet and install the appropriate ultrasn0w 1.2 packages. Despite having tried to connect via wireless LAN many times with no success at all it suddenly just decided to work on the off chance a day later despite not having made any changes to the settings. To cut a long story short, once you've download and install the ultrasn0w 1.2 package the carrier signal readout should then function correctly displaying the appropriately correct calibrated signal strength and mobile operator name. It should also now actually allow you to receive/make mobile calls as well as now allow for use of the 3G data access features provided by your chosen mobile operator via whatever simcard you have installed. If you're really unsure about all of this and really want to Jailbreak your 3G iphone in order to make it work on with any mobile operator you can optionally send your iPhone to me to do for you for £25. (Thats if you feel you can trust me to do it for you). But again I'd only sugggest this as one of the very last resorts, and if you do choose to take this option you should send it recorded delivery. Just email me for further details since I've just decided to put that as an option down on the spur of the moment. Obviously don't buy the CD if you want to send it in for us to do it for you and be sure to leave contact details so we can give you the address to send it to. iPhone 3G & 3GS 4.2.1. custom firmware mail in upgrade. Get your 3 pay as you go sim card with £10 of credit for £9.99. Unlimited free Skype calling & messaging for 3 months to and from your mobile to and from anyone in the world using Skype. You'll also get 300 inclusive text messages and 150MB of data.